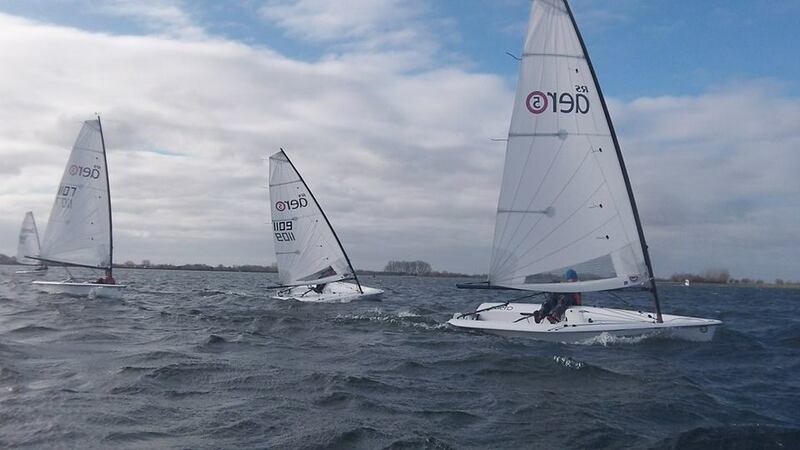 Fifteen RS Aeros and 18 sailors valiantly pitched up to one of the most brutal weekends of the year. Icy temperatures and 30kn gusts ripped over Farmoor Reservoir. 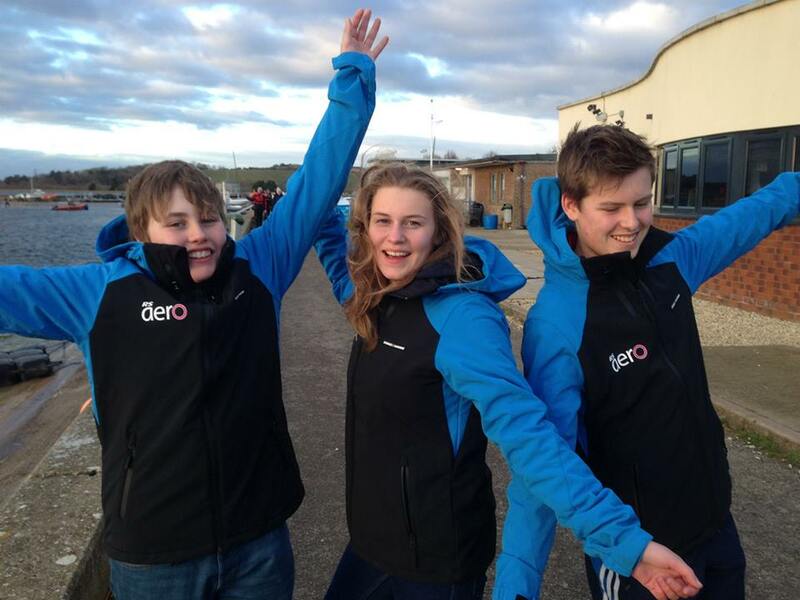 Once again, joining with the bustling RS Tera weekend our ever growing RS Aero5 squad is now up to 10 sailors who were all delighted to receive their cool new Aeronaut jackets. 4 Aero/Tera parents, 3 locals and 1 visiting Aero5 adult made the 18. Saturday morning we kicked off in a relatively tame 18 knots with multiple tacks and gybes on a straight windward/leeward course. We practised gybing when WE wanted it to, taking control and throwing the boom over. We worked through the progressive phases of de-powering as the wind increased. In the afternoon we raced a triangle/sausage - with stretched reaches for the fun of it! All rigs started together and with the breeze gusting into the mid twenties the 5 rigs held their own upwind and the 7 and 9 rigs only took control if the smaller rigs fell of the plane on the reaches. Sunday came with sunshine but also a cold 25 knot gusting 30 knot wind. A tight trapezium course was laid straight off the clubhouse, as it is important that the parents ashore get to enjoy these weekends also! Headway upwind was hard fought at times but the reward was the ballistic downwind. Perseverance was often key with the 'steady Eddies' overtaking any capsized Aeros. We had a long hard session that morning, thinking it might be our only one of the day. Not a chance! Everyone was more than keen for another dose in the afternoon with more joining in the slightly eased wind. However, as was the story of the weekend; when the 2-minute gun sounded the arctic wind pumped back up again. Penny demonstrated how an amply raised dagger board can tone down fierce conditions and was still able to keep in touch with the fleet whilst remaining in control. 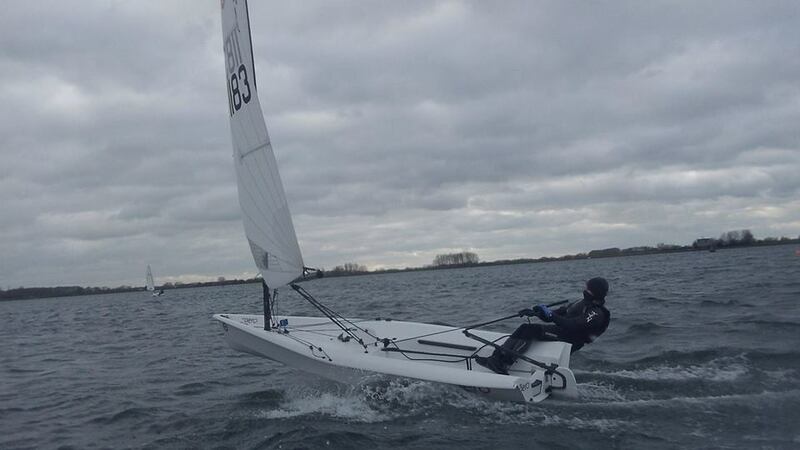 Ali of Yorkshire was finding the conditions quite tropical and improved steadily through his first weekends Aerobics to finish with some great races. The Isle of Man double act, Dave and Ffinlo, were often at the front demonstrating that their mid Irish Sea base is an ample training ground for tough conditions. As ever Louis produced some great turns of speed and when East Coast George came in fresh in the afternoon he was also a force to be reckoned with with some corking planning gybes. The squad featherweights, between 40-50kg, sensibly came out in the rib on Sunday to try to gleam some top tips after giving it their all on Saturday. 5 out of 6 squad days this winter have now had good breeze and we are all improving in it. We are learning about the boats, starting is great and, for the larger sailors, speed is fantastic. We now need to work on minimising our mistakes and then we shall have a chance at producing some good form across a series. The Aeronauts have cultivated a rewarding ethos of fun and camaraderie, all embarking on an exciting new challenge together. The next RS Aero5 'Squad and Guests' weekend is at Northampton SC on 21st/22nd Feb. Before then we have Round 5 of the RS Aero Winter Championships at Bowmoor on Sunday 15th and with their resident fleet of 10 boats a quality turnout will be assured. 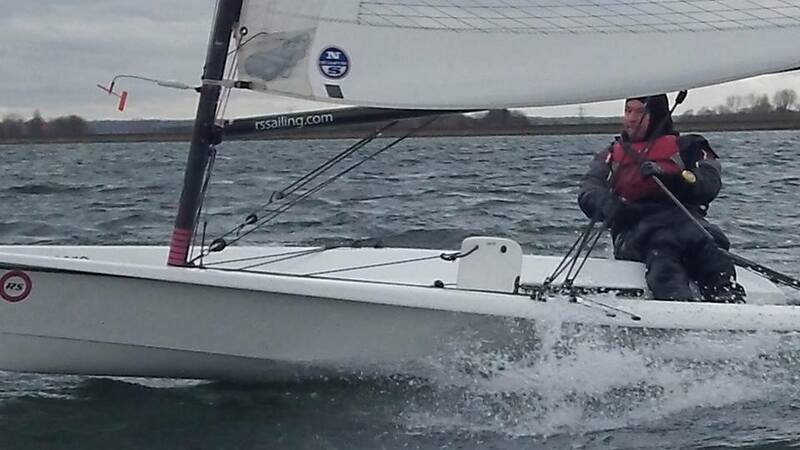 Thank you to Lucy Jameson, RS Sailing and Magic Marine for arranging the super smart Aeronaut jackets. A big thank you too to Paul Robson for helping with the coaching again. View the Uncut Playlist - but wrap up warm before watching!